Perth & Kinross Council is joining forces with players from St Johnstone FC to show that football is a game that should have no barriers to participation. As part of the national ‘see me’ mental health campaign which highlights the stigma attached to mental health conditions, a local group of footballers who have used local mental health services have been receiving regular coaching sessions from members of the St Johnstone Community Coaching team. The sessions have been organised by PLUS, a local mental health users forum. The players will play a match against the St Johnstone youth squad on Thursday 20 October at McDiarmid Park Astroturf, an event being used to showcase Scottish Mental Health week which runs from 10th - 17th October. Participants will also mark the annual Show Racism the Red Card Fortnight of Action which runs from 14th-31st October. They will wear t-shirts bearing the ‘see me’ logo and Show Racism the Red Card messages. Saints and the Council both signed the ‘see me’ pledge to promote anti-stigma in mental health last year, and also work in partnership on a number of Show Racism the Red Card initiatives. 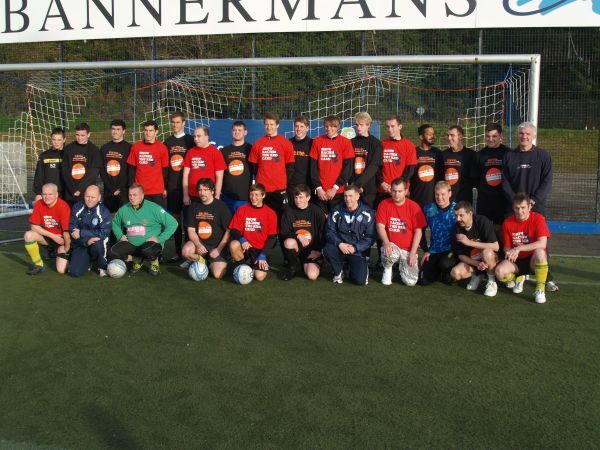 The match is now an annual event to jointly promote the work of both campaigns.